Family law handles the legal responsibilities that are shared between those that have a domestic connection. Most of these cases are linked to people who are related by blood or marriage, but it can also include distant and casual relationships. Most family law cases are regarding divorce and the result of the termination of the marriage. Family law attorneys will help their clients with separation or divorce, alimony, child custody, visitation, and support. If a couple is married for a short time, they can request an annulment. Family law will also deal with the division of property after a marriage is terminated. Every state will have different laws when dealing with property division. Couples who do not agree with the state’s rules regarding this issue can look at hiring a lawyer to draft a separate agreement. If the case does not include any fraud or duress, courts will look at the pre-marital agreements to finalize the property division in a divorce. Family law will also look into preventing physical and emotional abuse. The domestic abuse is not limited to relationships and can include relationships between current/ former spouses and their children. The court will also protect elderly family members, people in a dating relationship, or a roommate. Most courts will immediately issue a restraining order when allegations are made to prevent further contact until the case is heard and a decision is made. 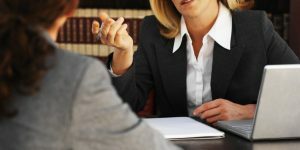 If you or a loved one is looking at filing for a divorce, look at finding a divorce lawyer that is well versed in divorce proceedings in your state.